Tennis Fitness: Key Movement Patterns To Improve Your Game! The importance of tennis fitness and tennis movement skills is well-known these days. Roger Federer has said many times that there is a strong relationship between the quality of his movement on any given day and the quality of his overall Tennis that day! Click the following link if you want to see my tennis fitness video tips. Read on here for more detailed information on the subject! The pros use very specific footwork patterns depending on the ball they have to deal with. The key to improving your footwork is learning and repeating the correct movement patterns! The game at all levels has gotten faster and faster because the rackets and strings are better and players in general are better athletes that can hit more powerful shots. Even at the recreational level the game is faster because of the new racket and string technologies! Even many of Roger Federer‘s fellow tennis professionals have said that one of the main reasons he is better than everyone else is that he moves so well and he is never out of balance. The best tennis players in the world are usually also the best movers on the tennis court! The good news is that excellent movement on the tennis court can be learned by anybody! 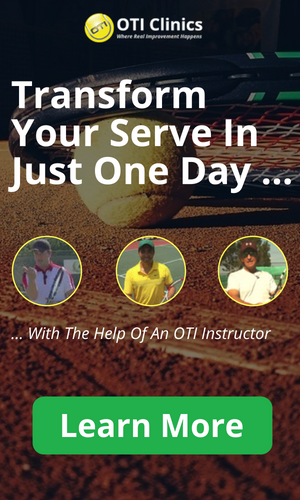 Not everybody can have the tennis fitness of a world class player but everybody can learn great movement techniques and perform tennis-specific exercise programs in order to maximize their own potential on the court! The best movers look graceful; it seems like they are flowing over the court and not working as hard as others. The reasons for this are a combination of excellent movement technique and really hard work on and off the court. At the recreational level you usually have about two seconds from the time your opponent hits the ball until you need to make contact with the ball! At the pro level this can go down to about one second. In this short period of time you need to anticipate the direction of your opponents shot, move to the ball, set up your feet and hit the ball. 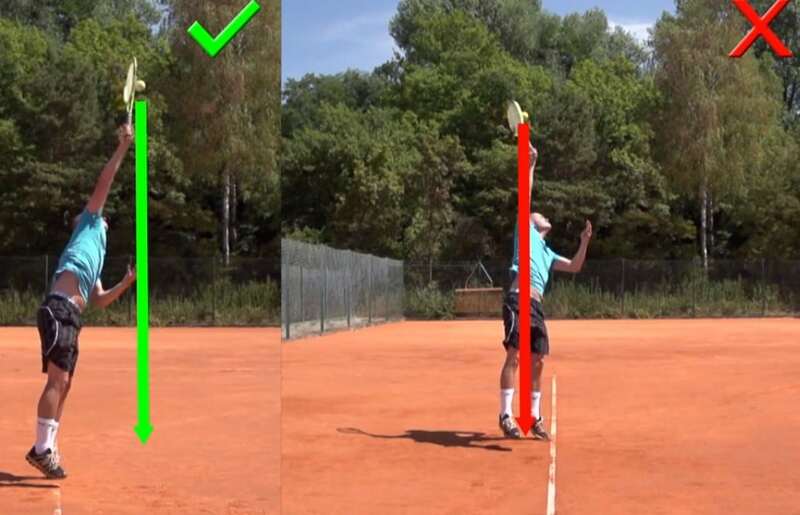 The majority of the time tennis players move within a 4 meter radius around the baseline. Only rarely do you have to move further than that when your opponent hits a drop shot, is at the net or hits an extreme angle. From this we can see that tennis players need to be great movers over short distances. Tennis is a game of short sprints one after the other! You sprint for 1-4 meters, then you set yourself up to hit the ball, hit it and then sprint back 1-4 meters to get ready for your opponents next shot. The whole time you have to maintain great balance and move efficiently. The majority of movement on the tennis court is also side to side; even though movement in every direction is needed and important. In order to be a good mover the player needs to be strong, coordinated and flexible. Having strong legs is extremely important for tennis fitness! If you ever look closely at the pros you will notice that they usually have very strong and big legs and their upper body is rather lean. It makes sense that as the game gets faster, you have less time to move to the ball and therefore movement becomes more and more important. In general we can say that top players use few strong and powerful steps if they need to cover significant distance and they use many small steps to set up for the ball or when the ball is very close. In between shots players are usually on their toes in an athletic stance so that they can react quickly. Check out Roger working on his fitness in this incredible clip! In my upcoming Tennis Fitness Video Series I will show you a general training regimen that is useful to develop those athletic abilities that are most important for Tennis. If you want to learn all the tennis-specific movement patterns from the beginner level to the patterns that the top professional tennis players in the game use, then check out my upcoming Efficient Movement In Tennis Video Series! In the videos I will show specific drills, on the court, for learning and improving your movement patterns. Like in my technical instruction video series I will demonstrate step by step exercises on how to improve your movement on the court. These patterns will allow you to cover the court easier and I am sure they will make you a much better player!